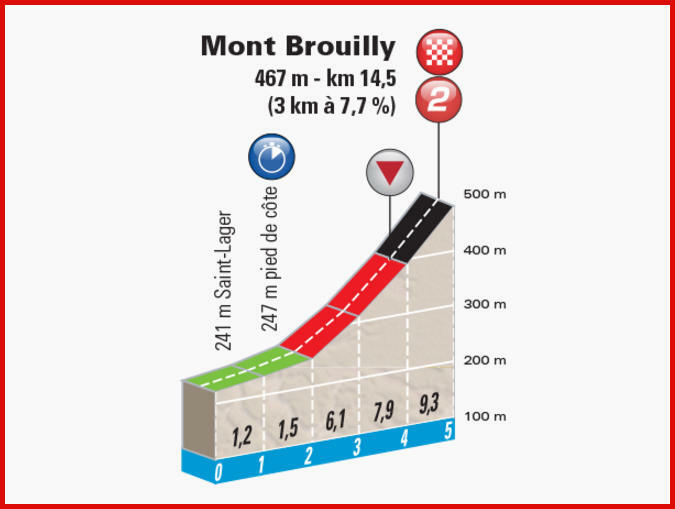 The short Stage 4 individual time trial ends with the 2nd-category upward tilt to Mont Brouilly. Km 14.5 – Mont Brouilly – Cat. 2, 3 km at 7.7% avg.